The County Commissioners are constitutional officers elected to four-year terms. District 4, Longinos Gonzalez, Jr. 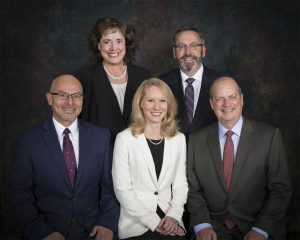 The Board of County Commissioners (BoCC), an administrative and policy-making body, has only such powers and authority as are granted by the General Assembly of the Colorado State Legislature. County government is a political subdivision of state government, created to carry out the will of the state. The County is not an independent governmental entity existing by reason of any sovereign authority. As a political subdivision, the county and its board of commissioners possess only such implied powers as are necessary to carry out expressed powers ( Colorado Constitution, Article XIV, Section 6). Colorado counties with a population of 70,000 or more may have a three or five-member board of commissioners. In 1976 the voters of El Paso County chose to have a board of five commissioners, each elected to represent a district. The districts are equal in population, and the boundaries are established by the board every two years. The Board of County Commissioners holds Public Hearings and Meetings on a regular basis. All such meetings are subject to state open meeting laws, the Colorado Sunshine Act of 1972, and the Colorado Open Records Act. The Commissioners update their Rules, Procedure, and Ethics Standards annually. The Board’s regular published hearings are held on Tuesdays and Thursdays (except legal holidays) beginning at 9 a.m. in the Auditorium of Centennial Hall at 200 South Cascade Avenue, Colorado Springs. In July and August a summer schedule is implemented and meetings are held Tuesday’s only. Board of El Paso County Commissioners regular meetings are scheduled weekly. Commissioners meetings are replayed on the El Paso County News and Information Channel on Comcast 59 and Century Link 89 and 1089 as well as the Pikes Peak Library District Channel on Comcast 17. Centennial Hall is handicap accessible and has assisted listening devices. The meeting agendas are compiled and prepared by the Clerk to the Board in Clerk and Recorder’s Office on the Wednesday of the week prior. Contact the County Administrator at (719) 520-7276 for information on scheduling an item before the Board. Meeting Agendas are online. Meeting agendas are also posted in the outdoor signboard located east of the front entrance to the Centennial Hall, 200 South Cascade, Colorado Springs, CO. Early submittals are always encouraged. The second and fourth Thursdays of each month are normally reserved for Land Use items; they are also heard on the third Thursday of the month as needed. For previous meeting information, please visit the Clerk to the Board webpage. District 4, Longinos Gonzalez Jr.
El Paso County citizens are encouraged to attend Commissioners meetings. Audience members have an opportunity to address the Commissioners either during the Public Comments portion of the meeting (on items not on the agenda), or when the President asks for comments during the discussion of a scheduled agenda item. Receive recognition from the President. Present your comments or questions. Please be brief in your comments to allow everyone an opportunity to speak. Time limitations shall be at the discretion of the President of the Board. Holly Williams serves District 1 on the Board of County Commissioners. Her district encompasses northern El Paso County, including the Town of Monument and N/NE areas of Colorado Springs as well as the unincorporated areas of Northern El Paso County including Woodmoor and Black Forest. 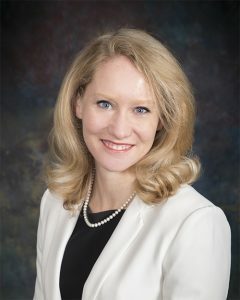 Holly holds a Bachelor of Arts from the University of Virginia and a Masters of Public Administration from the University of Colorado at Colorado Springs. Additionally, she is a graduate of the Leadership Program of the Rockies. Holly served for two terms as the Public Trustee of El Paso County, an appointment by Governor Bill Owens. She was elected by her peers to serve as President of the Colorado Public Trustee’s Association and successfully worked with the state legislature to pass needed changes in foreclosure law. Holly served as an office manager/caseworker for Congressman Doug Lamborn, worked as a mortgage fraud analyst, and worked for the Environmental Division of El Paso County. Holly strongly believes in and has lived a life of public service and dedication to our community. She has a strong record of working to improve our community, serving in various community groups, from Scouting and other youth groups to political involvement. 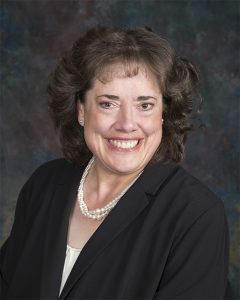 Holly has been an officer of the Sunrise Republican Women’s club and has served in numerous positions within the El Paso County Republican Party. Holly moved to Colorado in 1992 where she and her husband Wayne raised their four children. In her spare time, she is an accomplished pianist and frequently accompanies large congregations and local choirs. She enjoys board games and traveling the State of Colorado with Wayne. She is a member of the Church of Jesus Christ of Latter-day Saints. Holly took the oath of office for her first four-year term on Tuesday, January 8, 2019. Mark Waller was sworn in as the District 2 Commissioner on July 19, 2016. He is an Attorney in Colorado Springs. He served in the Colorado General Assembly from 2009 – 2014 as the Representative from House District 15, which encompasses portions of Northeastern Colorado Springs. Mark served as the House Minority Leader for the 2013 legislative session and the Assistant House Majority Leader for the 2011 and 2012 legislative sessions. He has also served on the Committee on Judiciary, State Veterans and Military Affairs Committee, Committee on Local Government, Executive Committee, Legislative Council, and the Committee on Legal Services. He was born and raised in Macomb, Illinois. Mark received his undergraduate degree in political science from Southern Illinois University at Edwardsville in 1992. He then studied at the University of North Dakota where he received his Master’s Degree in Space Studies in 1998, followed by his Juris Doctorate from the University of Denver, College of Law in 2003. Mark served on active duty in the United States Air Force from 1993 – 2000 and in the Air Force Reserves from 2001 – 2009. He deployed to Baghdad, Iraq in 2006 in support of Operation Iraqi Freedom. Mark formerly worked as a Deputy District Attorney for the 10th Judicial District in Pueblo, Colorado, and for the Fourth Judicial District in El Paso County, Colorado. Mark has two children, Truman and Camille. Mark took the oath of office for his first full four-year term on January 11, 2017. Stan VanderWerf serves District 3 on the Board of County Commissioners. 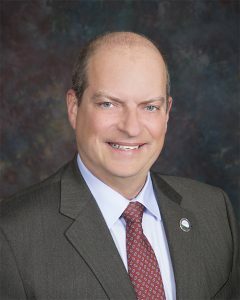 His district encompasses central and western El Paso County, including the Town of Green Mountain Falls, the City of Manitou Springs, the Towns of Palmer Lake and Monument, the Westside and downtown areas of Colorado Springs, and unincorporated western areas of the County including Ute Pass and areas south of Cheyenne Mountain State Park. Commissioner VanderWerf is founder of several small businesses and previously served 28 years in the US Air Force. Stan has 35 years experience in scientific, program director, engineering, contracting, plant manager, and C-level positions in industry and public agencies. In these positions he engaged in research and development, manufacturing, and sustainment of a wide variety of products from space systems and airplanes to electronics. 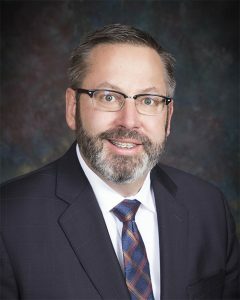 He is the founding CEO of Unmanned Aircraft Systems (UAS) Colorado, Advanced Capitol LLC (aerospace defense consulting), and CEM-TEK USA (computer aided design and 3-D printing). He is active in the community providing award-winning expertise to many local and national non-profits. He has extensive public budgeting, public policy, and public disaster planning and recovery experience. Hobbies include mountain climbing, sking, and flying. He is married to Betsy and has two children, Erik and Carolyn. Among his professional achievements, VanderWerf received the Industry Cluster Team Award from the Colorado Springs Chamber of Commerce and the El Pomar Institute. He is a Bronze Star awardee for his service in Iraq and a Legion of Merit awardee for his military service. Stan has National Team Performance and National Leadership Awards from the Defense Contract Management Agency and is a former National Aviation Speed Record Holder from the National Aeronautic Association. Stan is a Distinguished Graduate from the Industrial College of the Armed Forces achieving a Masters Degree in public policy and budgeting. He is also a National Newsletter Editor Award winner and is a multiple award-winning author with over 100 published professional and community interest articles. Commissioner VanderWerf has been assigned around the world having served in Korea, Iraq, and Germany. He has served in NORAD NORTHCOM at Peterson Air Force Base and at Schriever Air Force Base. He is a former director of the Air Force’s C-130 E/H program office and served in the acquisition directorate of Special Operations Command. Liaison to: City Airport Advisory Committee, Community Services Block Grant Advisory Board, City/County Board of Review, Colorado Springs Chamber and EDC Defense Mission Task Force, Highway Advisory Commission, Park Advisory Board, PPACG Area Agency on Aging Regional Advisory Council, Placement Alternatives Commission. Commissioner VanderWerf took the oath of office for his first four-year term on January 11, 2017. Longinos Gonzalez, Jr. serves District 4 on the Board of County Commissioners. His district encompasses southern and eastern El Paso County, including the Towns of Fountain, Security/Widefield, Hanover, Ellicot, Rush, Yoder and the south-southeast areas of Colorado Springs as well as the unincorporated area of Stratmoor Hills. Graduating from the Air Force Academy in 1992, Longinos returned to Colorado Springs because of his love for the outdoors and beauty of the region, particularly the mountainous Front Range. He enjoys hiking in our areas’ great parks and trails and is an avid fisherman and tennis player. His background includes a 20-year career as an Air Force Intelligence officer, retiring as a Lt. Colonel in 2012. 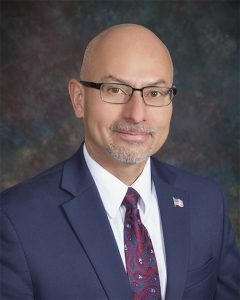 In addition to a Political Science degree from the Academy, Longinos has a Master’s Degree in science education and was a teacher with Harrison School District 2 prior to his election. Longinos is the county representative on the Fountain Creek Watershed Flood Control, Board of Health, and Housing Authority. He serves on numerous other boards and committees — including the Pikes Peak Rural Transportation Authority, Community Development Advisory Board, and City/County Drainage Board. Longinos’ community involvement includes serving on the Colorado Springs Public Safety Sales Tax Oversight Committee, and being a volunteer Sunday school teacher and lector at his church. Longinos took the oath of office for his first four-year term on January 11, 2017. Cami Bremer was elected to the Board of County Commissioners District 5 seat in November 2018. 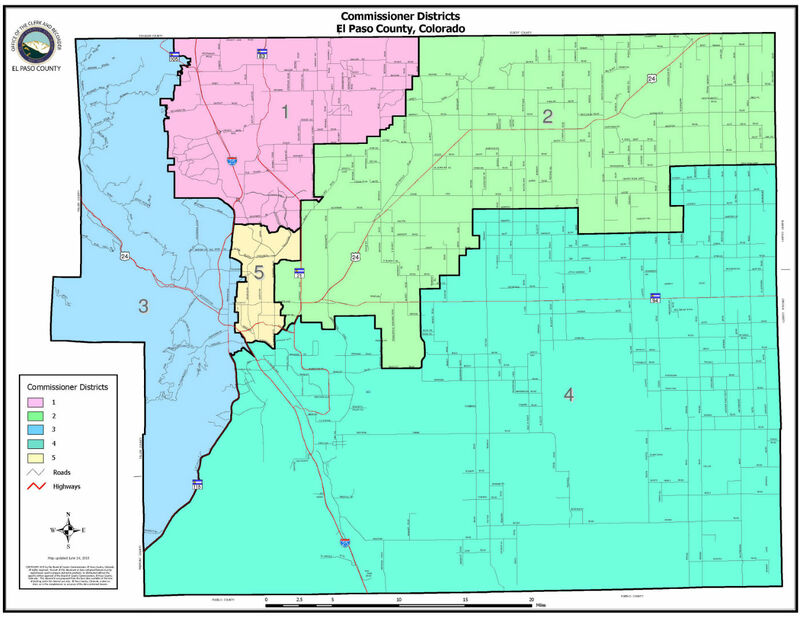 District 5 encompasses the center portion of El Paso County, including most of the City of Colorado Springs. Cami brings broad experience in government and media relations as well as healthcare and non-profit management to her role as a county commissioner. Cami has served as Regional Director for the American Heart Association, Provider & Community Relations Manager for Penrose Cancer Center, Director of Governmental Affairs for the Chamber of Commerce, and Communications Specialist for the City of Colorado Springs, where she was certified in federal emergency management communications. Cami serves on the El Paso County Board of Public Health, Pikes Peak Area Council of Governments, and Not One More Child. Cami also serves as Board of County Commissioners liaison to Pikes Peak Library District, El Paso County Housing Authority, Local Emergency Planning Committee, and Community Services Block Grant (CSBG) Advisory Board. She has a passion for Human Services and cost-effective policies that allows for serving those in need, while incentivizing long term family-centered solutions. Cami also looks forward to collaborating across jurisdictions and organizations for a regional approach to solving current community issues such as homelessness, affordable housing and workforce development. Cami grew up in Georgia and attended the University of Georgia where she earned her Bachelors of Journalism in Public Relations. After moving to Colorado in 2002, she continued her education with an MBA in Marketing from UCCS. Cami is married to Eli Bremer (USAFA ’00, OLY ’08) and they have a 4-year old son named Struthers. On any given weekend, Cami and her family can be found enjoying outdoor activities like hiking, biking, golfing, swimming, running and skiing. Cami took the oath of office for her first term on Tuesday, January, 8 2019. Select “Map Layers” to add Commissioner Districts and other information.